Tattoo regret is a real phenomenon. If you’re among the growing number of East Tennesseans who has qualms about the decisions you made while under the [tattoo] gun, don’t fret. Tattoo removal is an option that can practically erase your mistakes – or at least get rid of that unwanted tattoo. 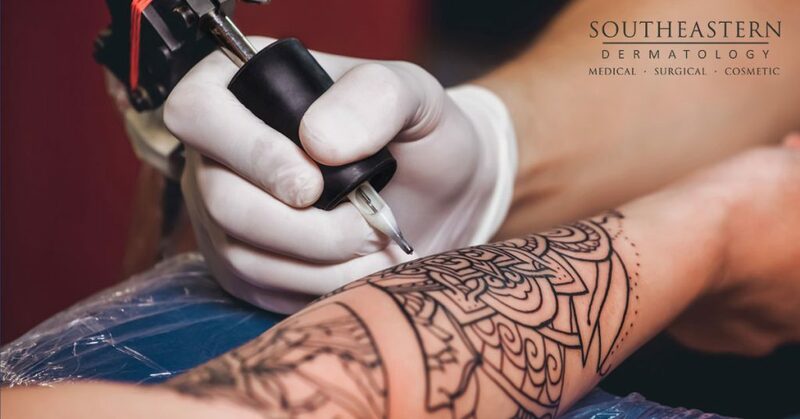 Southeastern Dermatology can make your questionable tattoo choices a thing of the past with PicoSure laser tattoo removal right here in Knoxville. If you’re considering tattoo removal, you might be in for a few surprises. 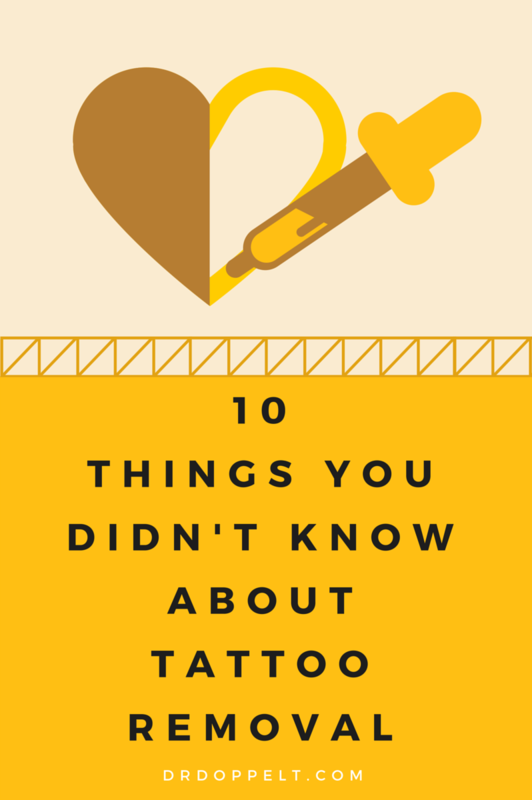 We’ve put together a list of 10 Things You Didn’t Know About Tattoo Removal that can help make preparing the removal process even easier. 1.) You can sweat it out. Southeastern Dermatology uses state-of-the-art PicoSure laser process to shatter tattoo ink into dust-like particles. 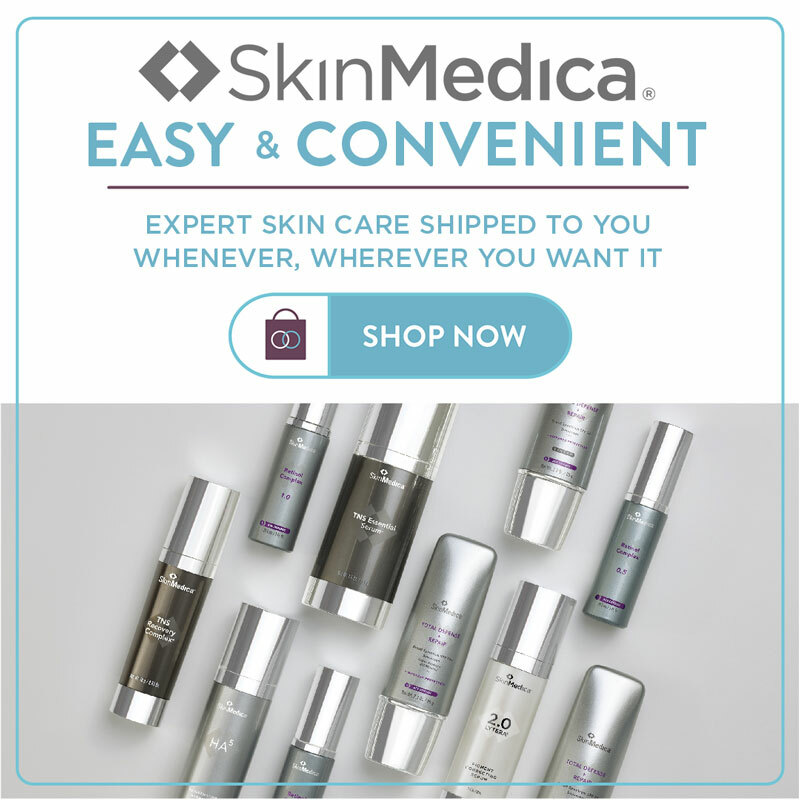 The bulk of the removal process happens post-laser treatment, though, as the smashed ink particles are then flushed out through your body’s lymphatic system. Working out and getting exercise boost circulation and can speed up and simplify the removal process. Black and red ink are the easiest colors to get rid of with PicoSure laser tattoo removal. At the same time, the greater the contrast between the color of your tattoo and surrounding skin can also speed up or simplify the removal process. Where a tattoo is located on your body can affect how long or how many laser treatments it takes to remove. The closer a tattoo is to your heart (literally, not figuratively), the easier it is to remove. 4.) You do the work. Believe it or not, your body takes on the bulk of the work when it comes to tattoo removal. The PicoSure laser uses pulses of light to break down ink the in the skin, but your body actually gets rid of the ink by flushing it out through the lymphatic system. Think that big back piece will take longer to fade than the tiny tat on your wrist? Think again. The size of a tattoo has absolutely nothing to do with how long it takes to remove. 6.) Smoker? It’s time to quit. In case you needed another reason to abandon cigarettes, keep in mind that smoking can slow the tattoo removal process. Smoking constricts blood vessels, prevents ink particles from moving through your body and increases healing time. Doubling up on PicoSure treatments won’t help you banish that unwanted tattoo any quicker. Treatments should be spaced 6 to 8 weeks apart. Your body needs this time to push the destroyed ink particles through the lymphatic system and heal between treatments. 8.) Each tattoo removal session is short, but maybe not so sweet. Brace yourself: PicoSure laser treatments can be painful. Some patients describe the experience like being snapped with a rubber band. But don’t worry, each session is over quickly – sometimes in as few as 20 seconds! 9.) Count on coming back. In most cases, four to six sessions are required to fully erase a tattoo. In some cases, tattoo removal can happen in one or two sessions. Thenumber of required laser sessions for tattoo removal depends on a number of factors, including the age of the tattoo, color, the type of ink used, depth of ink placement and quality. Surveys suggest that nearly a quarter of all American adults have at least one tattoo. Of those who have been inked, up to 22 percent have suffered some kind of regret over a tattoo. If you’re ready to say goodbye to unwanted ink, call Southeastern Dermatology today at (865) 474-8800 to schedule an appointment. Dr. Doppelt and his staff can custom tailor a tattoo removal plan to make sure your regrettable tattoo become a thing of the past.